If you're after a casual yet seriously stylish ensemble, make a Kired casual zipped pocket jacket and navy chinos your outfit choice. Both garments are totally comfortable and look stunning together. 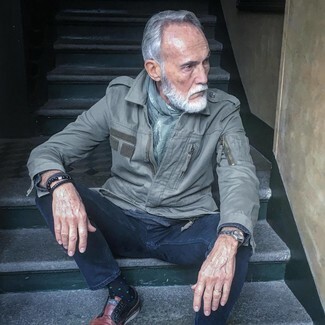 A grey military jacket and navy skinny jeans matched together are a match made in heaven for those who prefer laid-back styles. 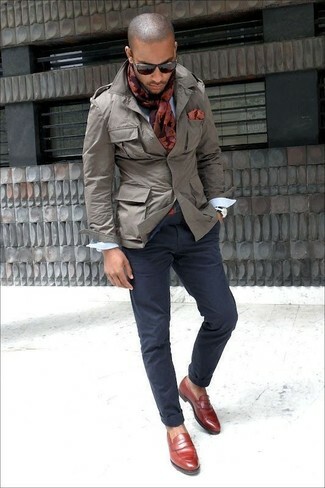 Finishing with brown leather derby shoes is an effortless way to infuse an element of polish into this look. 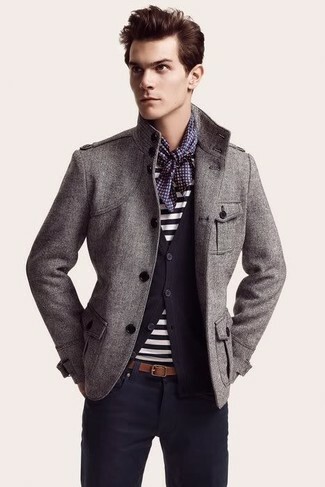 If you're looking for a casual yet stylish ensemble, wear a grey military jacket and navy jeans. Both garments are totally comfy and will look incredible together. 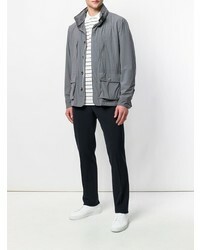 Rock a pair of white leather low top sneakers to make the getup more current. 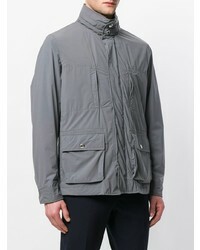 If you're after a casual yet seriously stylish getup, dress in a Kired casual zipped pocket jacket and beige chinos. These two items are very comfy and look amazing paired together. 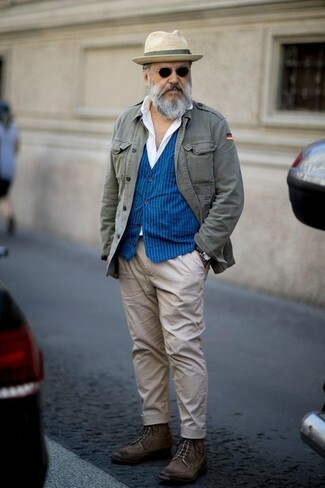 When it comes to shoes, this outfit is round off wonderfully with dark brown leather casual boots. 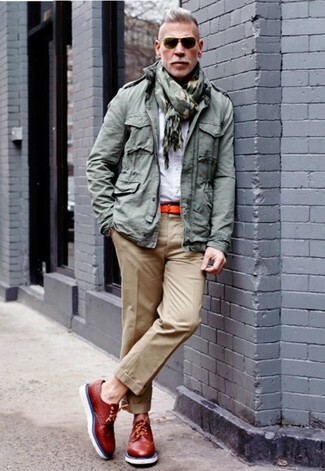 If you're after a casual yet sharp look, pair a Kired casual zipped pocket jacket with khaki chinos. Both garments are totally comfy and will look great when worn together. As for the shoes, rock a pair of red leather brogues. 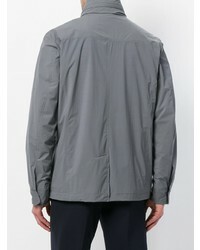 If you're on a mission for a casual yet sharp outfit, try pairing a Kired casual zipped pocket jacket with navy chinos. These pieces are super comfortable and will look wonderful when worn together. When it comes to footwear, this look pairs brilliantly with burgundy leather loafers. 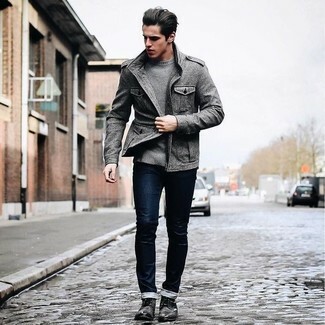 If you're scouting for a casual yet stylish look, wear a grey military jacket and navy skinny jeans. These two garments are very comfortable and will look wonderful when paired together. Go for a pair of black leather derby shoes to show your sartorial savvy. 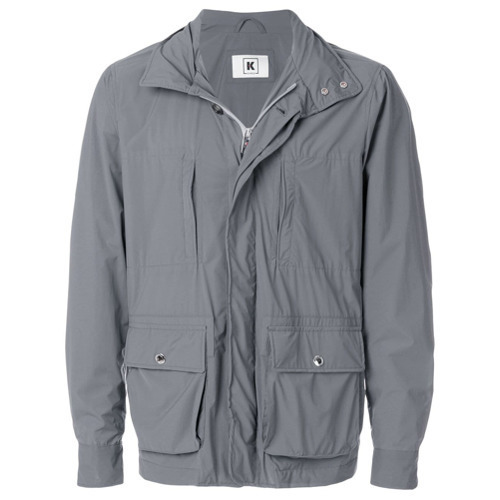 If you're hunting for a casual yet sharp getup, go for a Kired casual zipped pocket jacket and grey skinny jeans. These two garments are super comfy and will look fabulous when worn together. 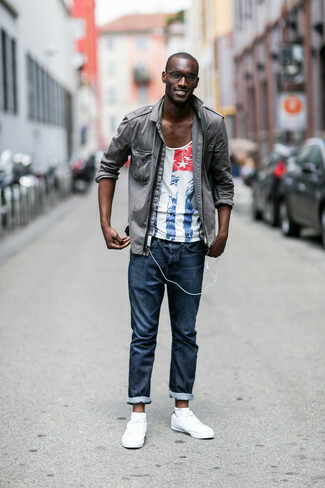 Consider grey low top sneakers as the glue that will bring your ensemble together.